Thank you for taking time to view Celina City Schools’ and Celina Primary School’s website. Parents, guardians, and mentors are crucial in the education process of our children. The teachers and staff at Celina Primary work very hard to fill your children with valuable skills and information. To help ensure that maximum learning is occurring, we need your help, too! At Celina Primary we want students to take pride in their work and themselves. We strive to work towards our mission statement, 'At Celina Primary School we are dedicated to LOVE, LEAD, and INSPIRE'. We want our students and staff to show love towards each other by being kind and respectful, to lead to do what is right, and to inspire to be good role models and positive citizens to our community. Celina Primary School is a great place to learn and form friendships! Our students and staff are eager to learn, and have fun while doing so. 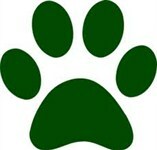 We take pride in being Celina Bulldogs!